It's been a hot minute since my last Five on Friday post! Seriously, June 10?! That was almost the beginning of summer and now, somehow, we're nearing the end (I have only two weeks to go--eeek!) Anyway, I'm a little late to the game today, as I feel like I've been painting non-stop for about two days now! 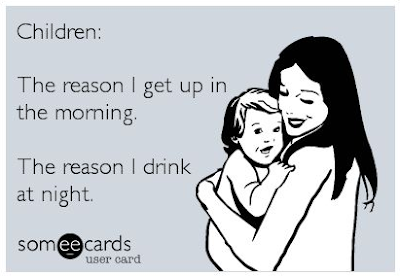 Really, that's a lie--yesterday I took a 2 1/2 hour nap and today I did a little nursery shopping. But a ton of painting, too! Oh, did I mention I'm painting in our garage and it's 100 degrees out?! That is not an exaggeration! We have been under a heat advisory for a few days now and it's safe to say it's scorching hot out there! Speaking of painting, thanks for all the advice on nursery colors earlier this week! Paint has been purchased (40% off, yeah!) and I'm happy to report, it's almost done! 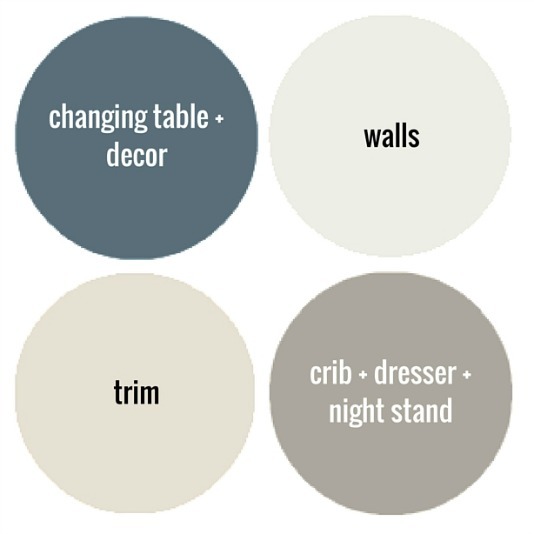 Our final color choices were: smoky blue for the changing table (and maybe an accent wall, tbd) and pure white for the walls. Remember, the best color to describe our crib is dorian gray (painting the dresser and nightstand to match) and our existing trim is shoji white. I will also add touches of black and white (mainly because the piping on our old glider is black) and some golds! This has definitely been my nursery inspiration, although I think ours will look a little different with the added touches of gold. I couldn't be more excited! Seriously, kids are exhausting. Fun and silly and joyous and worth it...but exhausting! Craig and I don't have big plans while they're gone, but I'm sure we'll enjoy a nice dinner or two and continue working on the baby's room! Everyone's posting about Nordstrom's big anniversary sale this week, but you wanna know a little secret? The only purchases I've ever made from Nordstrom are my Uggs, my Toms, and Clinique make-up. That's right! I'm just a Target/Old Navy kind-of-gal and to be quite honest, I'm a little intimated by Nordstrom and their prices! That being said, I do enjoy seeing what other bloggers are raving about, and thanks to some recommendations, I may have purchased a few things online this morning! 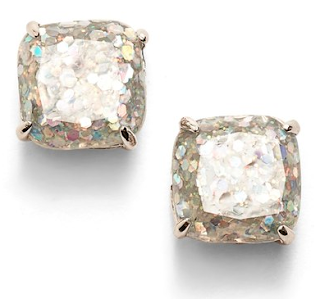 I really wanted these earrings in rose gold, but they were sold out. If I don't love them when they arrive, I may try to exchange them for rose gold once they're back in stock! 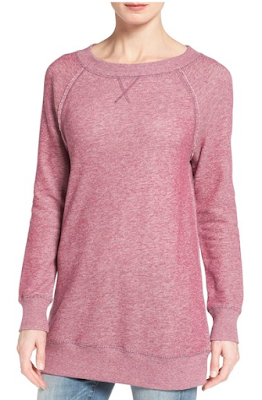 Next up, this tunic/sweatshirt! (Thanks, Laura, for suggesting it!) Hoping it fits my prego belly...or at least, covers the rolls after giving birth because it looks mighty comfy! 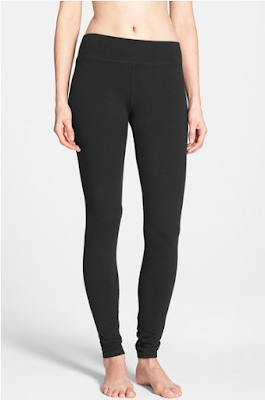 And finally, I've wanted to try these leggings for over a year now! People rave about them all the time and Lord knows I can always use another pair of black leggings! Lo and behold, I still love Target. I got these sandals a few weeks back and I'm in love! Sometimes, I think strappy/gladiator sandals make my legs look stalky, but because the straps on these are so thin, I don't think they do! A few weeks back, Beauty Brand's had their annual liter sale where all liters of shampoo and conditioner are only $10. I typically purchase one liter of each every summers and it lasts me the entire year! #perksofnotshoweringoften Anyway, I have used Revlon shampoo and conditioner for a few years now and I was ready for a change. I asked the BB employee for a few recommendations for fine hair, and then as soon as she walked away, you know what I did? Found a completely different kind/brand that I liked the smell of and that's how I chose my new shampoo! A month later, I still love, love, love using it. I hate taking showers, but at least I love the scent of my shampoo + conditioner! 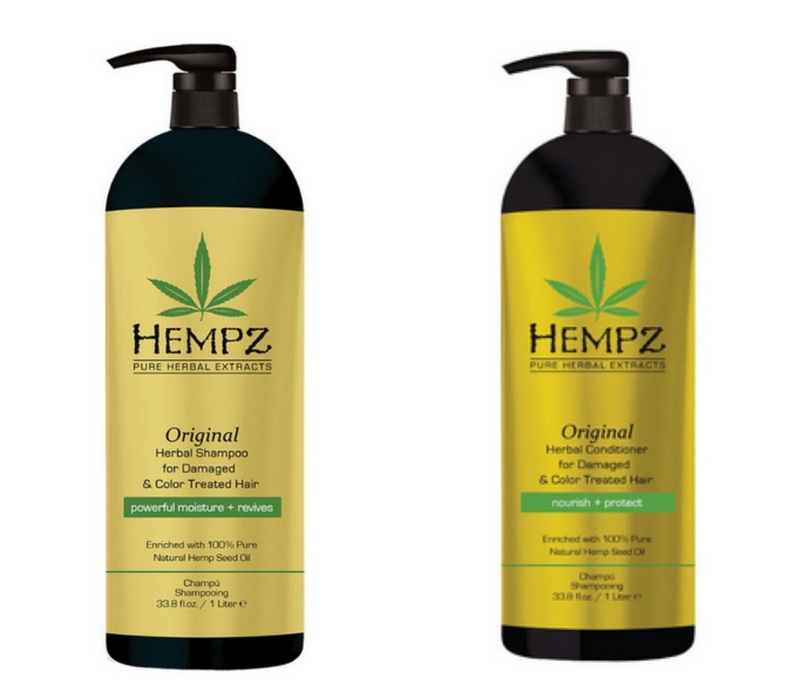 If you're in the market, may I suggest Hempz Original Shampoo & Conditioner for Damaged and Color-Treated Hair. 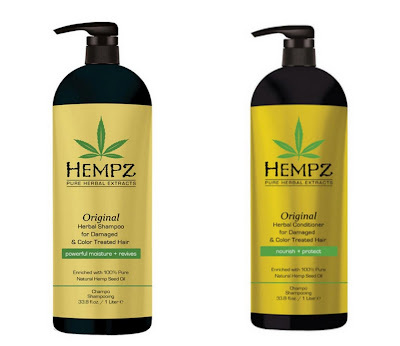 According to Hempz, the scent is floral/banana! Sounds about right! That's all for today! I'll be back next week with my 5-month prego update (ahhhhh!!!) and my wishlist for Baby #3! Happy Friday, friends, and stay cool! Love your nursery colors and inspiration. That's what I'm feeling for baby 2, blues greys whites. Simple. I liked bright colors with Aria. 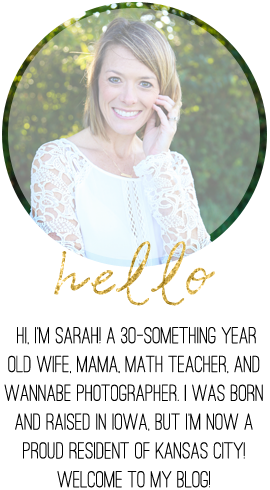 Can't wait to see your nursery! And totally agree with you on Nordys...totally overwhelming and I only shop their anni sale and those pants are seriously amazing!!! Bought another pair this year. 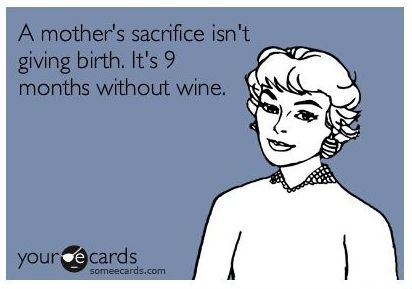 Enjoy your kid free wkend! Those Someecards crack me up! I'm with ya on the nsale. It totally overwhelms me. I got an email with a $10 code, so I ended up getting a top I had been eyeing for a while, but I'll stick with Old Navy and Target for the most part. Enjoy your kid-free time! Love the nursery inspiration! Funny you mention blog post of baby 3 wish list because I'm in the middle of drafting a blog post of what my wish list for Claire was. I've never purchased from Nordstrom's before!! Imy feel the same as you. I did see that tunic that Laura posted and wanted it badly, but I just can never bring myself to buy clothes online. My body is just weird and everything fits differently. 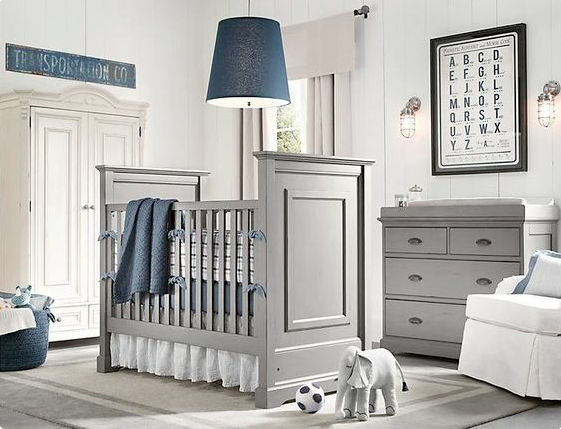 And BTW I am loving the gray nursery! I can't wait to see it all done. I got my Uggs from Nordstrom too, but I am totally an Old Navy Target person too. Your nursery inspo is AH-MAY-ZING!! I cannot wait to see what the nursery looks like once finished! I'm totally with you. Nordies just isn't my thing. Give me Gap, Target, and Old Navy every single day of the week.